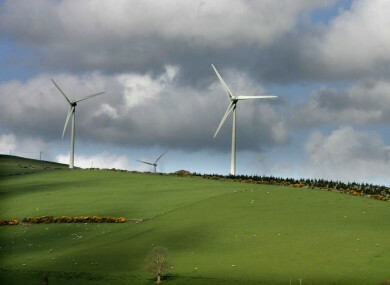 It’s hoped the contracts will help establish Ireland as a key location for the ‘green economy’. A STATE-SUPPORTED energy research centre has won €1million in high-tech contracts, the Government announced today. The announcement comes as the Government seeks to position Ireland as a location for ‘smart’ and green technologies. The International Energy Research Centre, located at Cork’s Tyndall Institute, will carry out research for four third-level institutions. One study will focus on using wireless networks to efficiently manage heating and ventilation, with another seeking to develop new storage heating solutions. The contracts agreed by the centre, which is supported by the Department of Jobs and Innovation and the Department of Communications, Energy and Natural Resources are valued in total at €1million. A key part of this Government’s plan to get out of this crisis and get jobs and growth back into the economy is to focus on sectors where as a country we have distinct advantages. The green economy clearly is one of these sectors. Email “€1million energy research announced by Government”. Feedback on “€1million energy research announced by Government”.